The last thing broke college students want to do is spend too much money. We want to spend it on clothing, shoes, phones, computer, video games, and other things. You may wonder how can this be possible. Here is the secret. The college life is the most unique and significant time of student life and nothing sounds better than saving some buck for your personal use. 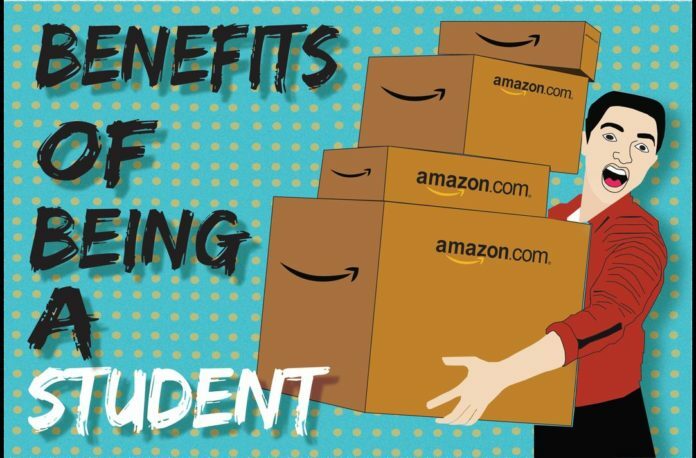 As students, we have all the discounts in the world, you just need to know how to find them and how to take advantage of them. I know there are hundreds and hundreds of websites out there where you can look into for discounts, so I am going to save you the trouble and go ahead and give you the best discounts and websites to make your wallet’s dream come true. Some of the websites I am going to show you I already have used just in case you are wondering if this actually works. Let’s jump into it. The first website is Amazon Student. I am pretty sure everyone that is in college is familiar with this website, but if you are not, let me give you a little inside. Basically, Amazon Student is an online store where you can buy absolutely everything. The only thing that is required is to sign up. In the process of signing up, you will be offered many different exclusive discounts and get six months of free two-day shipping on eligible purchases. Also, Amazon comes with a free Amazon Prime to watch movies, television shows, and more. So if I were you, I would go ahead and check it out. Another discount that you have to keep in mind comes from phone companies. Most of us have preferable phone companies. If you have one, make sure you look for the discounts they offer because you can save a lot of money on your phone bill every month. The next one is the for the international students and student that like to travel on their breaks, and even if you are not this could be useful at some point in your college career. Student Universe is a website that provides college students with friendly prices on airfare, hotels, attractions, and more. If you are planning a summer trip, this could be a website to look into. As students in our modern world, we are required to own a computer. If you don’t have the budget to get one, however, this may help you. Companies such as Apple, Microsoft, Dell, and HP offer discounts for college students, some of them come with free stuff like Dr. Dre Beats, iPods, and video games. This just depends on the computers you are getting and the discount they are offering you. In addition, we have killer deals like Spotify with Hulu discounts, or just Spotify discount for students. I can personally speak about this discount because for the entire fall semester of 2018, I had Spotify premium. I had a blast with it because they give you a 3-month free trial and can cancel anytime. If you like Hulu and SHOWTIME, they come included with your student Spotify Premium plan for only $4.99/month total. Last up is Unidays. 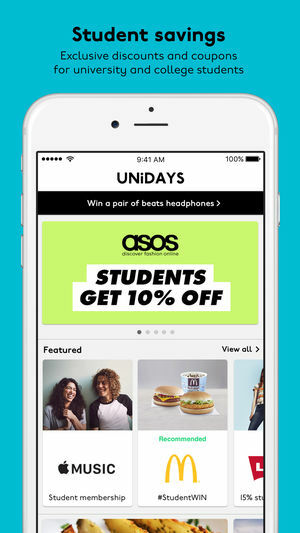 this website gives you access to all the student’s discounts online and in-store, you can find top brands such as Levi’s, H&M, and more. As you can see, being a student is not so bad and you don’t have to live without many things. Keep in mind that where there are colleges, there are discounts. Take advantage of them!